Louise Dawson Design: Embroidery class part 2! Digitize Embroidery Design :- Thanks For The Information... Visit our website if you are looking for Custom Embroidery Digitizing,Digitize Embroidery Design, Digitize Embroidery Designs and Digitize Logo. Digitizing Service For Embroidery :- Thanks For The Information... From our experience we give our customer best possible services and reliably produces 100% quality digitising embroidery, Digitizing Service For Embroidery, embroidery designing and embroidery digitizing. Embroidery Digitizing :- Thanks For The Information... Expand your business and explore your unbelievable creativity through your Digitizing and embroidery digitizing. 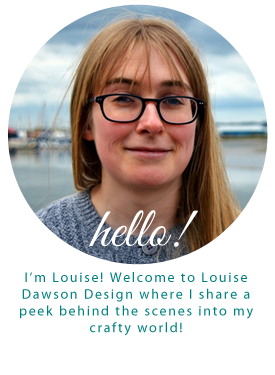 Great work Louise! Are you doing Embroidery Digitizing yourself or getting it done by someone?